"In life, there are very few things that we can all agree on but our love for food is as close as we are ever going to get. Although we require food for nutrients, our love for food goes much deeper than that and we all have our individual tastes and favorite flavors. Whilst some people love to eat spicy food, others prefer to keep it mild because their taste-buds are different. This being said, there are also foods that everyone seems to enjoy and rice easily makes this list." In recent years, we have seen technology that makes the cooking process easier and rice has been a big beneficiary of this. Nowadays, there are various brands offering superb rice cookers that will…well, cook your rice. However, it does much more than rice because it opens up a realm of new recipe opportunities for you and one of the biggest is sushi. If you just love sushi, you aren’t alone so we have compiled a rice cooker shopping guide. With this, you will know what brands to look out for as well as the preferred features. At the end, we even have a few examples! In truth, this is the best place to start because many mistakenly believe that all rice cookers are essentially the same. In reality, they all vary with many features so we are now going to take you through the features of which you should be aware. Of all, this is potentially the largest to consider because it will decide how much food you can cook at any one time. Whilst some models offer less than one liter of space, others will go well beyond five liters. Not only does this affect your cooking, it will also decide how much room it takes up in your kitchen so this is a balance you will need to get right – it is all well and good buying the largest model possible but if you have to lift it from a cupboard to use, the whole process becomes a chore and you will lose your passion for cooking. Ultimately, we cannot necessary suggest one answer that works for everyone because we all have unique needs. If you will be cooking sushi rice for the family, you are going to need more space than someone who lives alone. Additionally, someone who has a small kitchen needs to consider their available space whereas someone with a much larger kitchen doesn’t have to make this consideration. Once you consider your needs, you can look at the models on offer and pick a size. Although this isn’t a feature as such, it is another consideration alongside capacity that will affect your decision. In truth, there are many different manufacturers in this market who tend to target different audiences so there will be a variety of price ranges. Depending on the quality, capacity, features, and brand name, the price will vary greatly. How do you decide? Unfortunately, we have no magic answer once again because it all comes down to how much you plan to use the cooker and how important the high-end features are to you. If you only plan on using it once every two weeks, the investment won’t be as worthwhile as if you used it five or six times a week. Of course, we aren’t saying that you will be eating sushi this amount per week because a rice cooker has many other functions. If you will be using the device frequently, you might be tempted towards the higher end of the market and we will see examples a little later. 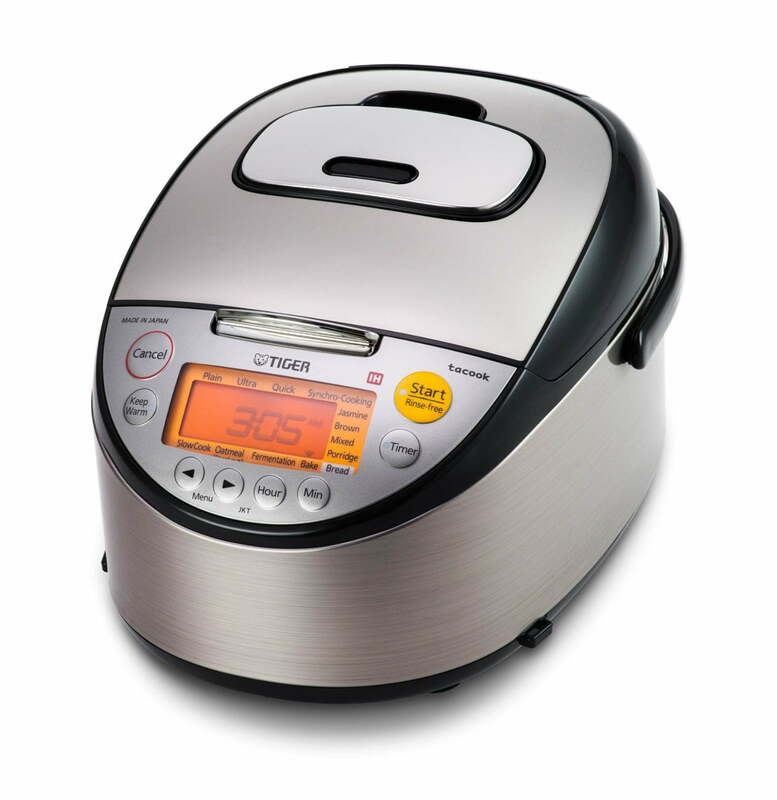 With the basic models of rice cooker, it will often be a case of pushing one button to start. If you go for something a little more expensive, you will be faced with digital controls. Although they seem daunting at first, they can allow for a greater control of cooking; a quick read of the manual should tell you everything you need to know. With the more basic rice cookers, they are ‘single-minded’ which means that they work in a mechanical manner. 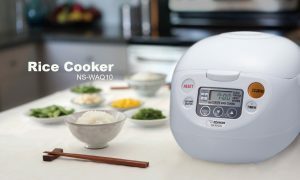 However, ‘fuzzy logic’ rice cookers use specialized computer chips that cleverly adjust the temperature and cooking time without any input from the user. 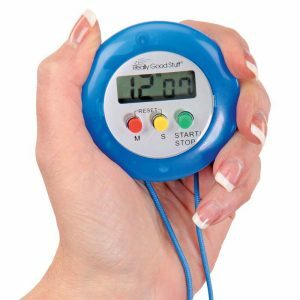 With this, it gives more confidence because you can be sure that the rice is cooked – it makes decisions similar to that of a human for the best results. Next, you should be looking for a non-stick bowl so it cleans with hot soapy water rather than requiring a hammer and chisel. Also, you will find some models that are safe in the microwave as well as the dishwasher. Furthermore, they often vary in material because stainless steel inserts are harder to clean but they will last a longer period of time. If you plan on eating one type of rice over and over again, this isn’t so important. If you want to experiment with your cooking, you will find many models that offer quick settings depending on the rice. This way, you don’t have to guess and ruin your dinner in the ‘learning’ phase. With most modern models, they will have a screen on which it presents how much time is left until the rice is cooked. With some of the biggest brands, they will even include a timer where you can start the cooker when you are away from the kitchen like an alarm clock. Often, we spend too much time thinking about the inside of the cooker that we completely forget about the outside. If you have children and you don’t want to spend all evening playing security guard to stop them touching the machine, you should look for models that keep cool on the outside. After this, there are also various other features that won’t necessarily make or break your experience but they can make life that little bit easier. For example, a ‘keep warm’ setting is great if you’re waiting for other foods to finish cooking. In addition to this, some come with a spatula and measuring cup whilst others offer a compatible steamer basket or tray. Finally, you can look for convenience with a rice cooker that retracts the power cord for easy storage. As there are in any industry that sells products or services, you will find a number of brands that get the best reviews and have the most customers. Before we give you a shortlist of superb rice cookers, we have some information about the biggest brands in the market. 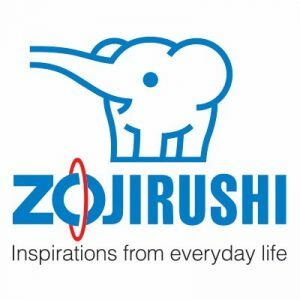 Over time, Zojirushi has built a superb reputation when it comes to food- and drink-related products. For example, they now sell bread makers, coffee machines, and even water boilers. However, rice cookers is where they really excel and they invest heavily into this market. As an American division of a Japanese company, Tiger is known for various cooking machines and storage containers. With a particular focus on cooking sushi, you will see a product from this company a little later and it will be one to consider. Compared to the first two brands, Aroma has far more products on the market and they also like to give recipes to all customers. Included in their product list, you will find food steamers, electric woks, yogurt makers, coffee makers, indoor grills, electric kettles, milk ‘frothers’, and more. If you have a need for a food or drinks device, Aroma is likely to help. Once again, this is another brand that has taken it upon themselves to introduce a number of electrical items into the kitchen. As well as being affordable, they are easy-to-use and have introduced many younger generations to the kitchen which is a huge benefit. Overall, there are now more companies looking to join this trend every year. Alongside these four, you will find other reputable options in Instant Pot, VitaClay, Panasonic, Cuisinart, Breville, and even Black & Decker. Whenever the topic of conversation moves onto rice cookers, the same question always arises – what is the best model? As we explained earlier, the best model for one person could be a nightmare for someone else so a lot does come down to personal needs and requirements. However, this doesn’t mean that there aren’t models that are universally liked. Below, you will see a few examples. As you can see, this is towards the lower end of the market but still provides one of the best options for cooking sushi rice. At first, the size can be a little off-putting but it can hold up to eight cups at any one time. As well as cooking rice, you will also have opportunities to steam meat or vegetables at the same time. Finally, the machine is easy to use for beginners and experts alike. Cons – On the flip side, we should mention that it can be a little difficult to clean and there is a learning curve compared to some other options. As we said, it is easy to use once you get used to it but there will be more appropriate models for absolute beginners. Finally, it can take some time to reach the correct temperature. Although the price is double our first option, you will still be getting a very good rice cooker that offers four unique menu settings from plain rice to slow cooking. As we discussed previously, this is one of the more simple options with one-button start but it is also non-stick which makes cleaning easy. Cons – When cooking, you will notice that there is quite a lot of steam and this is perhaps the largest downside and one that customers have noticed thus far. However, the lid cannot be removed too which provides another negative to the product. So far, we have seen two options under $70 but this third option pushes the boundaries a little and breaks the $100 mark. If you plan on using the cooker regularly, this machine is definitely worth the investment as it offers a 10-cup capacity which doubles when cooked. Designed for risotto and rice, it takes just 40 minutes without the need for stirring and is easy to clean once more. 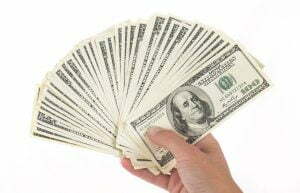 Cons – For those who aren’t going to use it regularly, it presents a heavier investment. Furthermore, many customers have noted how the pot inside looks a little cheap. Finally, we also found that the rice can come out a little too dry. Finally, we have two varying models of Zojirushi rice cookers depending on your budget. With this cheaper option, you will receive a basic model with enough room for three cups of rice which seems small but can work if you live alone or only plan to cook for a couple of people. In addition to this, it has a non-stick pot and is easy to control with one switch. Cons – As you can tell, the major disadvantage of this model is the small capacity. If you want to use the rice cooker many times a week and need to cook for a family, you will be limited by this design. At the other end of the scale, we have a rice cooker with two different varieties – 1/1.8L. In both, you will find a number of cooking options, ‘keep warm’ settings, delay timers, and a high-quality product. If you can afford it, this is one of the best models you will find in terms of freedom with the sheer amount of options on show. Cons – Clearly, the price will be off-putting for some and it is also quite large which means that you need a large kitchen or somewhere to store it when not in use. As long as you take these tips and apply them to your needs, you won’t have any trouble finding the right cooker for you. Instead of looking through cookers, you might find it better to work out your needs and budget first before finding something to match. This way, you are more likely to be happy with the end result and you will have a cooker for all your sushi needs!